I sometimes need to mount USB drives that are NTFS formatted and write to them. On Mavericks I achieved this using the Homebrew formula ntfs-3g which depends on osxfuse. osxfuse: OS X Mavericks or older is required for this package. OS X Yosemite introduced a strict unsigned kext ban which breaks this package. I take this to mean that the kernel extension used by osxfuse is completely disallowed in Yosemite because it is not digitally signed by Apple, whereas in Mavericks it was allowed. So, is there any way now to mount and write to an NTFS-formatted USB drive in Yosemite using either open-source software or free, unencumbered (not spyware/malware or bundled with useless toolbars etc.) software from the App Store? edit: This doesn't work for me in the final El Capitan (from Mac App Store). I had to disable SIP through recovery. Could someone confirm that this is indeed necessary? ... and reboot your machine. Then try symlinking mount_ntfs again. Run sudo vifs and paste in the output from the previous 2 lines. To do this press down to go to the bottom of the file, A to start adding text, paste in the 2 lines then press escape and :wq to write the file. (vifs is the only safe way to edit the fstab in OS X). Then unmounted and reinserted the flash drive. Note that it no longer shows up in the sidebar under Devices. You have to navigate to the /Volumes directory to find it. However, it is now writeable. No third-party software required, but you do have to repeat this for every target NTFS volume. Additionally, there is script that can set up everything automatically: http://sourceforge.net/projects/native-ntfs-osx/files/?source=navbar (just succeeded with it on OSX 10.5.5 Yosemite). This answer is aimed at latest compatibility for OS X 10.11 El Capitan. Install latest osxfuse (3.x.x) from https://github.com/osxfuse/osxfuse/releases or from Homebrew with brew cask install osxfuse. Install latest NTFS-3G (2015.3.14) from Homebrew (http://brew.sh/). Link NTFS-3G to boot after temporary disabling System Integrity Protection. Installing this file; restarting the computer enables NTFS write. 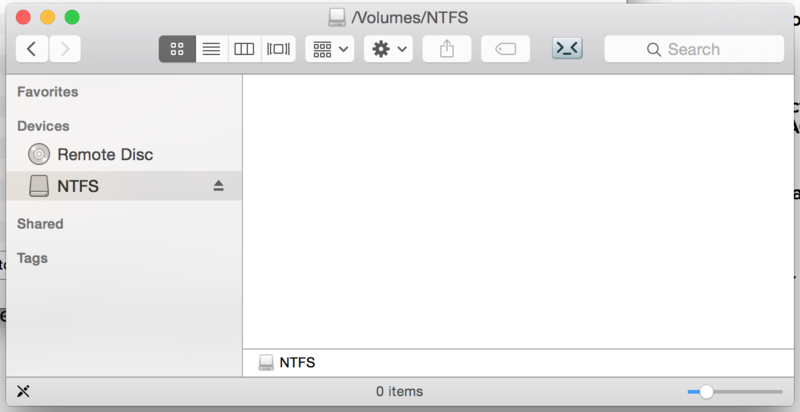 All recent OS X releases support NTFS natively (read/write)! 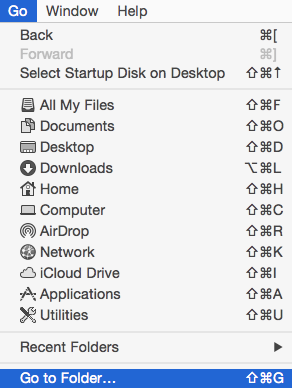 Replace MyDrive with the name of your volume (check the volume name in the Finder when you mount it). To undo the writability when mounted on this machine, simply remove the entry for this drive from /etc/fstab. But it sounds like this won't work if you have brew packages (such as Gluster) that rely on the osxfuse libraries, since they won't appear in your cellar. I always use Paragon NTFS. Just try it. You can do read/write from both sides and will forget this barrier for ever. Not the answer you're looking for? Browse other questions tagged yosemite ntfs .